Tucson MLS Search made easy. Tucson MLS Search stands for Tucson Multi Listing Service search. 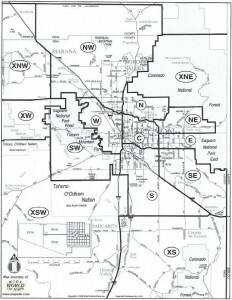 The Tucson MLS made available by the Tucson Association of Realtors – TAR. The Tucson MLS search is a great tool for Tucson home buyers. The Tucson MLS search covers the entire metropolitan Tucson area. That’s about 525 square miles. There are over 5000 subdivision or neighborhoods where homes might be for sale. Added to those choices are literally 100”s of home selection criteria to define a “perfect” home in Tucson Arizona. That can be a lot of choices if you aren’t familiar with Tucson’s geography and lifestyle choices. Thinking of an Active Adult “Retirement” Community? There are over a dozen available. Interested in a home on or near a golf course. Literally 100’s of subdivisions and neighborhoods could be on your list. Thinking of a new home in a newer community or subdivision? Again, 100’s to choose from. Without having some insight on Tucson real estate market it may be difficult to even know where to start. For those Tucson home buyers who just want to “jump in” start with a MLS Tucson search tool. Select the city/community, subdivision, type of home, price range and home features. Hit the search button and take a look. Review, refine, select. Straight forward and time consuming. To help our clients we have developed pre-set MLS Tucson home searches on their websites. Our clients have indicated it is easier to use a MLS Tucson home search that starts with a desired Lifestyle or Life Interest. We listened and created searches based on retirement communities, gated communities, horse properties, etc. Once selected, you will be able to choose an area, home price range and amenities that you want. For Tucson home buyers familiar with Tucson we have subdivision or neighborhood searches. These searches start with an area of Tucson. Many frequently requested subdivisions are available. We have also set MLS Tucson Subdivision and MLS Tucson Neighborhood searches by area. Select an area and click on subdivision/neighborhoods to find a home. Questions about Tucson Real Estate OR Tucson Homes for Sale? Give us a call 866 316 5575 OR Submit our CONTACT FORM and we will get right back to you.